The suspicion over alleged impending defection of UPND Vice President for Politics have continued manifesting in the opposition party with the Lusaka Province women having challenged the leader to come out in the open. Rose Zulu the Party Provincial Chairperson says Dr Canisius Banda should come out in the open and tell the membership whether he is still part of UPND or not. Ms Zulu rumours that their Vice President is holding dark corner meetings with the ruling PF should be addressed and buried once and for all. She said if Dr Banda can not address the rumors then he should go on a break so that he reflects on his future in the Party. “With due respect to our Vice President for Politics Dr Canisius Banda, we as women demand that he comes out in the open and tells us whether he is still our member or he is under pressure from the Patriotic Front to join them. “There is no way we can be subjected to stories of our Vice President holding dark corner meetings with Patriotic Front officials and secretly visiting State House , he is our Vice President for Politics for God’s sake and not an ordinary member let him come out in the open and address us as women now. If he cannot make a decision then we advise him to go on a break and look at which way to go unlike the current situation where most members look at him with suspicion,” she said. “Dr Canisius Banda is an intellectual and its unlike him to get intangled in issues of defections, such issues are common and most acceptable among young cadres and those seeking to feed their bellies. She also accused the PF of lacking credible leaders hence their move to have their Vice President intangled in issues of defections. “However we are aware that PF are short of credible leaders hence hunting down our Vice President so that he takes up a professional and technical role. UPND is a democratic Party with ideals and if one feels they no longer believe in the ideals they are free to leave,” he said. She added “Zambia needs UPND because this is the only party whose leadership has a vision and technical know how of fixing the economy and making life better for all. President Hakainde Hichilema and his running mate have demonstrated in their private lives that they can make life better for all . THE WHOLE UPND LEADERSHIP SHOULD TAKE A BREAK AND REFLECT ON THE ELEPHANT IN THEIR MIDST NAMELY REGIONALISM. THE ONLY QUALIFICATION HH HAD FOR BEING UPND LEADER WAS HIS TRIBE NOT TO FIX THE ECONOMY. HE PLUNDERED THE ECONOMY WITH CHILUBA. ALSO, THREE AND A HALF PROVINCES CANNOT RULE THE REST OF ZAMBIA. They have already started “CANNIBALIZING” each other. Welcome back to earth and the real world folks! The entire UPND cadre seem to put too much faith in the ‘garbage’ spewed by their “Zambia-Watch-Imbwa.” They are the ones who started these rumors and now everybody in UPND is jumping on the bandwagon. Good luck Bwana Canisius, once UPND sycophants gang up on you, they are relenterace like “IMIMBUULU” until they finish you off. Unfortunately, Dr. CB can’t even count on HH, towards whom CB’s loyalty can never be questioned, to come to his rescue. HH is like that. If it serves his personal political agenda, he doesn’t give a [email protected] about what happens to his henchmen. HH is facing a turbulent and uncertain future in UPND right now. So the LESS CREDIBLE COMPETITION he faces in the Party going forward, the easier it is for him to manipulate the situation and stay on as Party President. Hence the unleashing of his ATTACK [email protected] on CB. And he is cunningly quiet about it while one of his long serving Vice President is being torn to pieces and dragged through mud. But from where I stand, these ‘underhand’ schemes being directed at Dr. Banda are pretty obvious and a bit unfair. Next will be GBM—that’s when we will even hear the real truth about his actual academic qualifications. I am sure ZWD already has a ‘dossier’ on him. Watch this space! Hey you women he responded! Should someone respond to every rumour? Or do you just want to chuck him out? Or are you just feeling insecure with each other? Closely analyzing the narrative, the woman is for Dr. Banda. If it is true, he is not alone. He is a ‘big fish’ hence small ones will follow. HH made a very big mistake by substituting royalty with money. Where is the integrity? Baby Hippo Banda is coming to his senses. Honestly how long can you sit on Hikainde’s veranda spewing hate and vile while the world keeps on moving. Ba UPND ukusabaila. By the end of this year, the party will have imploded. UPND a democratic party.may be there is a new meaning to the word democracy. Like democratic fiasco of PF election of ECL? Imwe I was shocked this morning JK has now made a dununa reverse church version kikikik ala mwandepula ba pf. Anyway with how things are going you need prayers that’s why dull Esther lungu said we need to pray for good nutrition at the United Nations kikikik as for cannisius you can’t serve two masters. You were and are still broken by the LOSS, aren’t you? Mother fu.cker! Even your evil rat and caterpillar eating grandmother with her smelly unwashed pus.sey knows that the drunkard stole the UPND votes! Id.iot!! @chilyata mental illness manifests in the letting out of insults like those after one has undergone the frustration of failure. 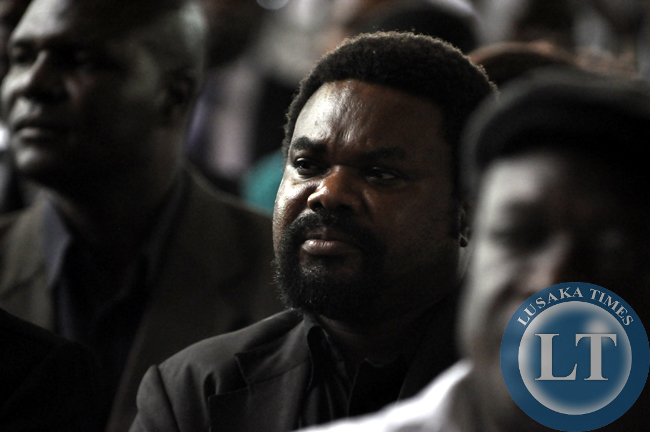 UPND IS VERY HEALTHY…/..BANDA should go to PF….. I think thiis Canisius Banda should just join the the pangarians family(PF) even during the UPND campaign time he joined late. I agree – the bag.ger didn’t campaign at all. It is better that he leaves so that people minds will be at peace and we will know how to treat him as a traitor! I really feel for you Canisius! The gods of the earth are so complicated the say one thing but the actions are totally parrarel. Ati upnd are democratic no one can challenge demi god. He is all knowing…. and Nez, i must say that in all things we need The Almighty God but you in all things you need hh, his the only one who can make things better for you. However, for Esther and many of us believers it is only the Almighty God not man and we are not shy to confess such wherever we go! @Nez…, please just be honest to yourselves for once. HH has stayed this long in that positions because most UPND cadres like yourself believe there is NO ANY OTHER TONGA who can replace HH. This is the ELEPHANT IN THE ROOM y’all have always avoided to discuss. You have essentially SHREDDED THE PARTY CONSTITUTION to suit this situation. But aren’t as gullible and easily manipulated as UPND Lemmings are. FYI @Nez.., Lungu seems to have MORE BRAINS on his shoulders than the entire UPND put together. This is the guy who came in as a novice in Presidential politics and wired your Kadansa HH, the VETERAN of Presidential losses. First time you claimed he won because of a SYMPATHY VOTE and RIGGING. Then he wallops you a second time. This time by a wider margin. Excuse, not becoz of a ‘sympathy vote’ this time around, but just RIGGING. Man, even if you are a UPND diehard sycophant, at some point you have to take stock and STOP ‘[email protected]’ HOT AIR trying to appear smarter than you really are! @Nez…, if you have a memory of a chicken please do me a favor and ask why, when, and how the “tribal tag” on UPND began. Yes, some of you would want to wish history away. But please know that the TRIBAL TAG was NEVER started by anybody but UPND itself. HH was served to the Zambian people on that platter. So don’t accuse me or others of ‘sins’ you yourselves committed. Deal with it like men. … region only, that is [email protected] TRIBALISM and should be condamned. Whether you SYCOPHANT @NEZ likes it or not! @yambayamba are you saying if HH quits the Tonga Upnd vote will disappear? @Kadansa: Who is talking about the “Tonga UPND vote”? You and Nez… need to learn to understand what you are reading. I am talking about POSITION/S in UPND which were essentially DECLARED A PRESERVE for TONGAS only. This is NOT something I am simply making up. This was said, accepted, and internalized by UPND rank and file when the succession wrangles to replace Andy Mazoka erupted. And today, it seems, UPND is on the verge of repeating the same mistakes they made when they introduced Hichilema on the Zambian political scene. This is what I am talking about. So I don’t know why you and @Nez are bringing in all these irrelavant issues to the matter at hand. I have NOT discussed VOTING PATTERNS anywhere in my posts, that is @Nez’s own cop-out, not mine. Follow the conversion above! @yambayamba I asked a question you responded with hot air. Can you ever hold a conversation? I know Easterners are good at WW( Wako ni Wako). Look at RB he joined PF because of Lungu. Why did he not Join when Sata was vibrant? If Munkombwe joins UPND you call tribal. The Saints are Luapula is not tribal but voted for cousins, Northern-Muchinga is not tribal but voted for Cousin and Eastern simply voted because Lungu is wakumaba and not tribal hahahahahahahahaha!!!!!!!!!!!!! !, It makes me think backwards but positive. This is a very old template. When a contender rises there will be cases and accusations brought up so that s/he is hounded out of contention. I see Canisius Banda being run out of UPND so that the status quo remains unchallenged (even if it can survive the challenge a la Corbyn of UK’s Labor). It is rife in Africa. Look at Katumbi suddenly tried and jailed for some obscure offence… What a bunch of losers! The favour we are doing for you is pray for you Nez, you need christ in your heart. Until you & yours get it that,in whatever you do you need devine intervation you will never preside over the affairs of Zambia. This we have said time and time again. Sober up and seek God and all will be added to you. Ifyakwa Lesa fya kwa Lesa…. they is a covanant with God over the land of Zambia so i understand you will not get it but i am invoking the spirit of God to make you see the bigger picture. Hakainde and Geoffrey have demonstrated nothing but f00lishness, pride and selfishness. Nez your comments are still immature we are still praying for you. You need God in your heart. In UPND, HH and GBM are like MEASLES & RUBELLA. UPND needs treatment now rather than later. The healing process must start but these two are frustrating it. It’s getting tastier by each day that passes. Come to think of it :would Sampa have returned if the boat had sunk. Again to respond to the quoted woman : Can you honestly call GBM a credible leader? Zambian elections have no connection with God, because the current rulership of Zambian was attained through theft. So the leadership we have at the moment does not have God’s blessing. That is why you see them not to have an idea on how to run this country. The true leaders advised them not to go for Eurobond, but because they are not the chosen ones they went contrary to correct way God wanted it to be. What I mean is that the current rulership which came into power by deceit is a leadership of the dark forces which rules by ignorant and with them on the helm the economy of Zambia will never go anywhere. Uyu ati NEZ, aliba saana dull…that’s why he claims to be educated to overshadow that. Every time I check on to see bloggers comments, I find either rubbish or shallow analysis of the issue from him. His life must be so painful, because one cannot have that perception of issues and be happy. @sengeleti, Voting pertain was like this, 7 provinces voters cast their ballot according to which person was the best and that’s why HH got hundreds of thousands of votes. 3 Provinces chose to vote for the nearest tribe. So UPND still exists? Well maybe on social media only. I don’t see anyone in red blood colours anymore. What a slow painful unstopoabke death the party is going through. Even HH is struggling to maintaon some measure of relevance within his own party even as it is dying. I think by end of November UPND will be a carcass of its former self. Canissius or no Canissius, the party can only pretend to still exist. Leave the poor doctor alone, even the PP has no use for him. Madam Zulu, do you know how HH and GBM have acquired their riches for you to say, ‘President Hakainde and his running mate have demonstrated in their private lives that they can make life better for all’? It’s women like you who land your husbands into trouble because you admire your neighbour’s posh cars, money etc. without considering how they acquire them. My sister some of the rich people you see don’t even sleep at night or even enjoy their riches because there are painful conditions attached to them. Ignorance again. Jealousy will not take you far. Judy because you are a failure in life you see anything to do with success as negative. It does not surprise me that ignorant buffoons like you voted for pf a party that has brought suffering. It seems poverty is indeed a disease. Banda does not fit anywhere in that UPND jigsaw assembly. It is only right to let him find his way to the destination. After all, he is Educated and has a mouth to express himself better than the others who can only see shadows and not the sun. As at now, the PF is the sun. I agree with you entirely. What value will Canisius Banda bring to PF? Where was he when others suffered for PF and endured insults from the UPND? Only genuine and original members deserve to be rewarded with appointments not opportunists like Canisius! Smith uliwamano. Ba Lungu beware of late comers u may frustrate your real supoters who wanted u to wake not canisuis banda or any one opposes u n pf . So for appointment only those u share same vision that’s what Zambian s wanted. The sentiments expressed by the women are genuine and need to be addressed. What is Dr Canisias Banda discussing secretly with PF? Rose Zulu, why bother my young brother Canisius? Don’t you know that kerosine and water will never mix! HH and GBM have a common denominator that’s why they can easily mingle. So Rose Zulu take over the position of Dr. Canicius Banda because I have seen that you are also the like of your two bosses! It’s patently an attempt to push him out of UPND. Must be under order from The One Master who us feeling the fire under his seat. Instead of resigning HH us beginning a cowardly internal war to remove Banda. As for both Ms Zulu and Cancius Banda, You Eastern Guys are seriously Missing your Radar! Get one and direct yourselves to other parties, even Nawakwi (if she’ll) have you is better if PF won’t do! Try not to kill the hummingbird. There’s still music in the air; and sanity in UPND. @Ba Kabiki kindly give evidence of how the election was stolen. The on-going wild speculations regarding UPND are justifiable. Within their own party, however, UPND can still choose to ride the storm. They have come a long way. They can still choose to go all the way. Very true @ Ndanji we need evidence from the educated people who thrives on lies and misleading people. You guys UPND cadres especially Nez have not addressed Yambayamba’s comment that UPND created its own tribal tag. Clearly as always you are trying to hide from the truth. The sooner you face up to reality the better for you. You simply can’t hide the fact that Ackson Sejani did say that only a tonga can be president of UPND. That was the birth of Hh as political material but in fact born a lame duck as a result. Prior to the elections I advised you to clear that first before you contest the elections. Now see the result? Yes, they did. But isn’t that one of the bygones? Let bygones be bygones. It’s the only way we can make progress on this inimical subject. They may not admit it. We know better. Worse for UPND of the future, the recent voting pattern and the tribal xenophobia in Namwala has exposed the UPND tribalism to other tribes. Everybody thought that the other politicians were just politicking but 8/11 proved it tribal nature of one region beyond reasonable doubt. Very bad for the future of UPND but can be addressed by removing the original problem HH. “Very bad for the future of UPND but can be addressed by removing the original problem HH.” How I wish it were that easy! It’s not. It is as tricky as trying to pull out the stingray spike. It could result in the death of the crocodile hunter! “…the future of UPND but can be addressed by removing the original problem HH.” Should they deem that, their only viable option, they may still want to consult an expert to conduct the delicate surgical operation. With MMD now in disarray, UPND appears the only credible opposition party still standing. I pray they don’t fall. I pray they don’t fail. And that is why HH is now fighting for relevance. Has he not been relevant, I wonder? Maybe, but that is your opinion Meimatungu. The point that I am making is that with the latest electoral loss, HH is now irrelevant to the politics of Zambia and the UPND itself try as he may to make himself relevant. Just look at the irrelevant court cases that he is still pursuing, the recognition of the Lungu government by the international community, the inauguration of the government and the start of parliament. I am not aware of any UPND MP who has refused to sit in parliament, are you? Coming to think about it, can Dr. Banda genuinely mingle with HH and GBM for whatever purpose on a sustainable basis? To be very honest they belong to two different worlds! PF is not a party to belong to whether under SATA or Chagwa or who ever is to come. The principals of the party is dictatorship and dominance, brutality to achieve power, Do you remember that SATA was the one advocating for Bemba to be Zambia’s official language? When they received a lot of resistance they looked humble and deviated the ideal and started teaching our children local languages but still write the GRADE 7 EXAM IN ENGLISH. He had wanted Chiluba to rule forever. Dont think about the apple that made Sir Isaac Newton popular, think about what was in his mind when the apple fell. Then you will see what PF was and is and what it will be.